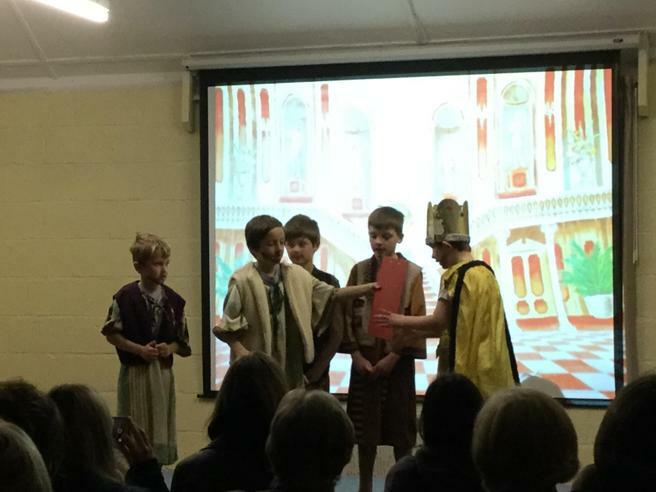 The children in Years 3 and 4 have been working very hard this half-term in preparation for their end of term class production of 'Daniel and the lions'. Herons' Class performed their musical extravaganza in the Memorial Hall on Tuesday evening and they were delighted that so many parents and carers were able to come along and watch them! 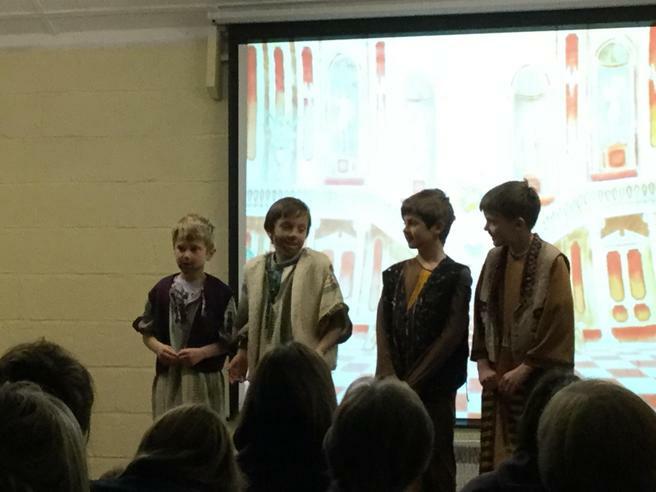 The lead role of 'Daniel' was performed by beautifully performed by Kieran who was ably supported by our other budding young thespians, George in the role of 'King Darius' and 'Governors' Seb, Jamie, Freddie and Tom. 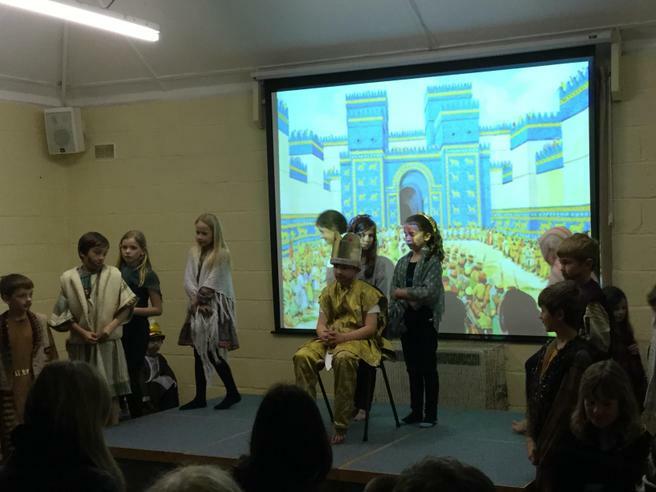 The whole class worked together to give a stunning performance. 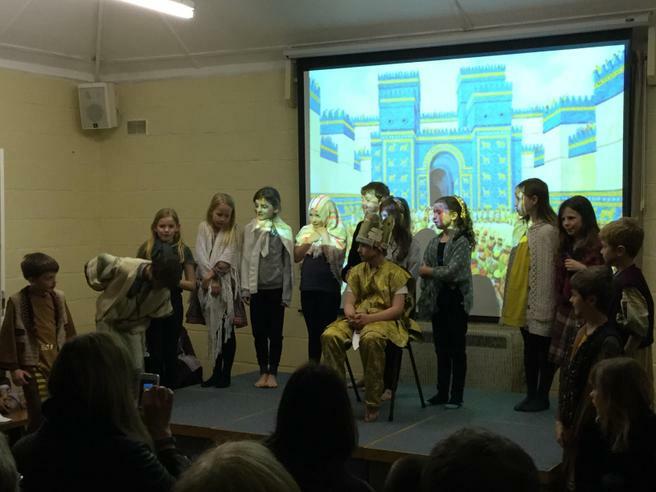 A special mention must go to class teacher, Miss Pitman for working very hard to ensure that the children gave a very polished performance.